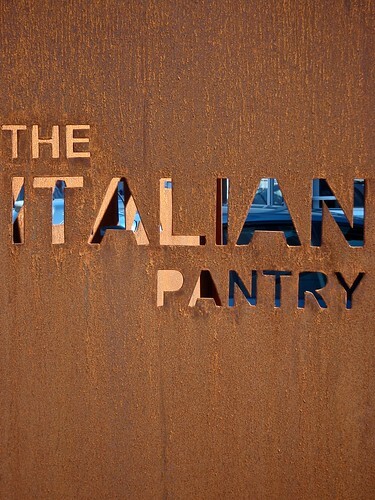 The Italian Pantry a photo by BaboMike on Flickr. Yesterday was a day of exploration. Our first weekend with a car, well, a car of our own and not a rental. We had heard about this place before, even driven past it, but never found it open. What a revelation. You enter into a cafe. First stage, espresso. Damn good espresso at that. Then into the “pantry”. All the good stuff. All the yummies imported from Italy, fresh pasta & cured meats. A entire cheese room, wine collection, you name it, they got it. Top it all off with staff who know what they are talking about and are extremely friendly.